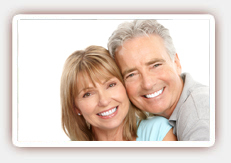 Gum disease is one of the top causes of tooth loss in the country. Gum disease is caused by oral bacteria, which infect the gums. If the initial infection, or gingivitis, is not addressed, it can worsen and continue to infect the supporting structures of the teeth. Bone and tissue loss can result. Dr. Afar, West Hollywood dentist, strongly encourages prevention of gum disease since once advanced gum disease develops, the damage can only be controlled rather than reversed. Good dental hygiene is one of the best ways to prevent gum disease. Oral bacteria lurk in plaque, the sticky film that adheres to your teeth. Plaque should be removed from your teeth regularly by brushing and flossing. If it is not removed, plaque will harden into a mineralized substance called tartar, which can only be removed by a professional cleaning. Plaque can begin to harden into tartar in just 24 hours, so brushing at least twice a day or after meals is essential. Flossing daily will remove food particles as well as any plaque that has formed between your teeth. Anti-microbial mouth rinse can be used to remove even more bacteria and leave your breath fresh. Visiting our dentist twice a year for a professional cleaning and dental exam is necessary for removing tartar that has built up in those hard-to-reach areas and identify early signs of gum disease, when the condition is at its most treatable. Early gum disease, or gingivitis, can be reversed through increased attention to dental hygiene. 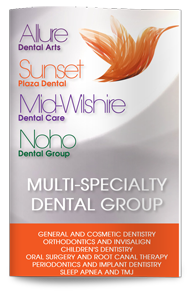 Contact Dr. Afar, West Hollywood periodontist, today to learn more about preventing gum disease or to schedule your checkup.